Sony has revealed exciting new plans for the PlayStation 3 (PS3) games console - including one that will turn it into a digital video recorder. "It means I can have my laptop, and my PS3 can wirelessly detect movies, or music, or pictures stored on it and stream it to my TV. 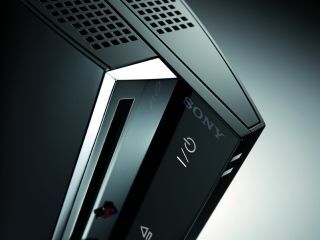 That content will appear on the PS3's X-media bar," Light said. ""What does next-generation mean? It means that something has to last until the next generation. The PlayStation 2 has proven that, with about seven years between the PS2 and PS3. "It could be anywhere between seven and 10 years before the next (Sony) console comes out, and to bridge that gap you need considerable technology. The PS3 is designed to last until the next generation." "Look at the tangible differences between processing power and scope for scalability between the PS3 and the Xbox 360, it is clear that the PS3 is designed to last until the next generation." He also said that Nintendo has admitted that its Wii console is current generation. "A lot of people think that the PS3 is just a games machine... Well it is, but it isn't. It's a future-proofed super computer."